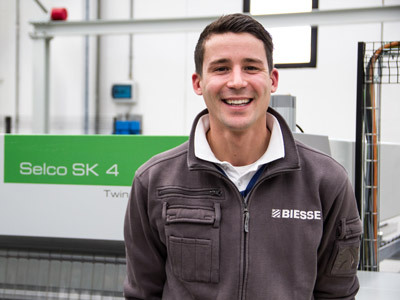 Precision and flexibility in a single machining centre. 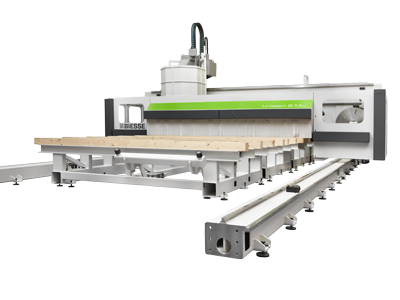 Uniteam CK is the ideal machining centre for medium and large industries that need flexibility in order to handle all the standard cuts used in woodwork but also want to offer a solution for the complex demands of modern design. 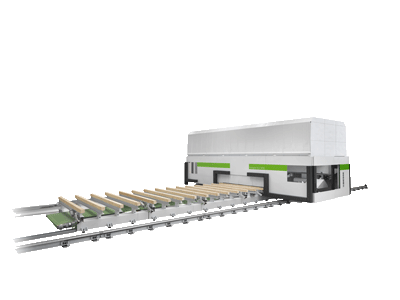 The system that moves the beam through the machine consists of four carriages equipped with vertical and horizontal hydraulic blocking systems. 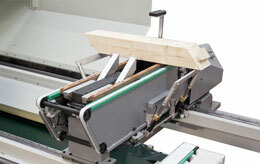 The clamps have a 90° hydraulic rotation system that allows for all six faces of the piece to be machined without needing a second intervention. 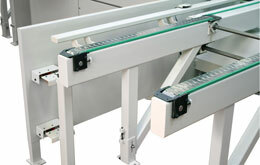 A buffer, made up of motorised chains that can collect the pieces, allows for the machine to be fed automatically for a continuous run with no downtime. 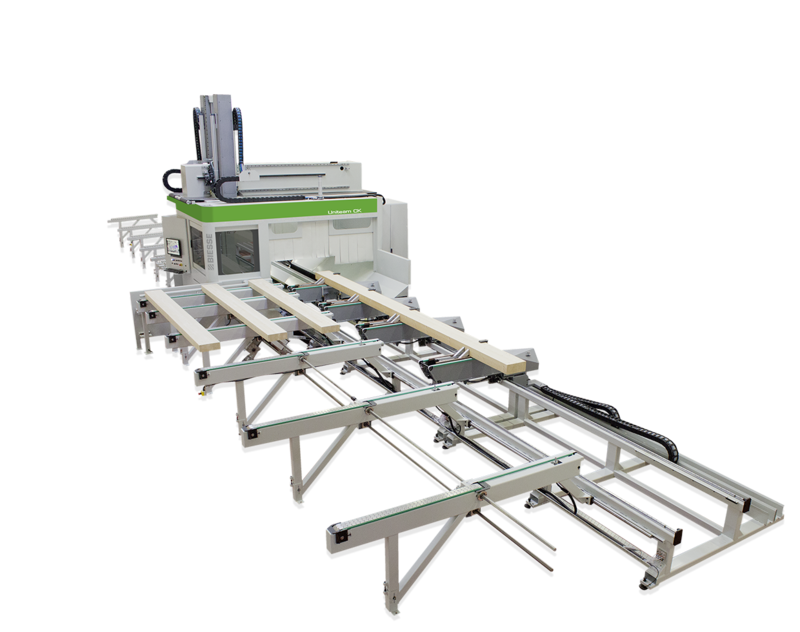 The Uniteam CK is equipped with a robust fixed doorway structure that houses high performance working units used for the main machining operations. The structure includes a steel beam wel¬ded to a solid metal base. 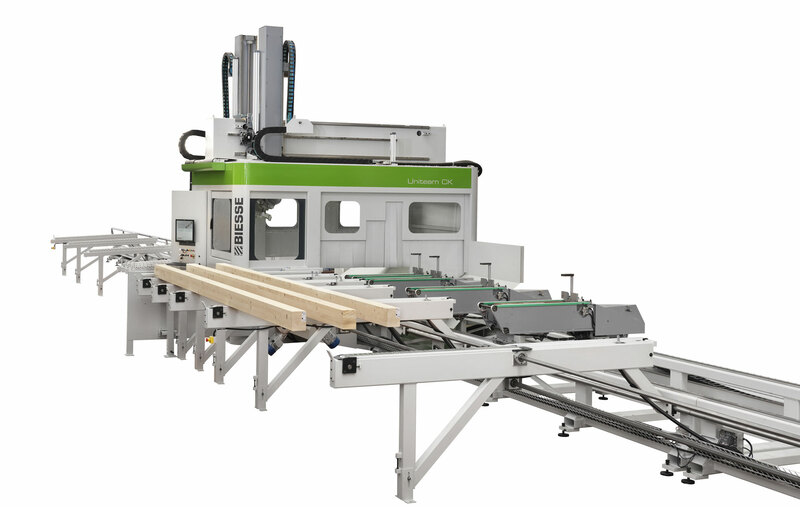 The overhead beam has a wide cross-section and was created using combined sections designed to guarantee extreme sturdiness. The mobile carriages that support the beam being processed run across the base below. 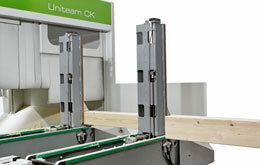 The Uniteam CK’s system for moving beams uses the controlled movement of independent clamps for optimal positioning and to provide appropriate support for the element being machined. 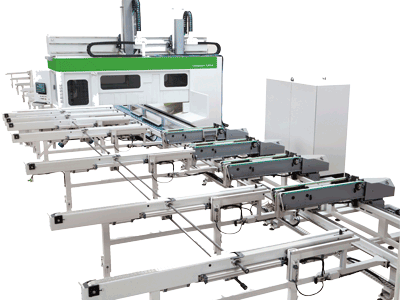 Every single clamp has both vertical and horizontal clamping, which can be automatically excluded, to allow for every machining operation required. 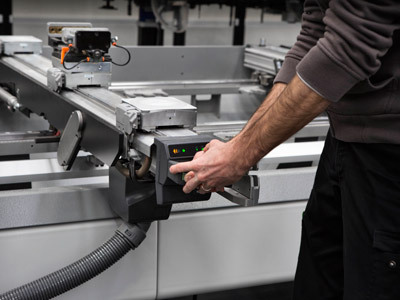 Precision and flexibility for a large number of machining operations, from standard woodwork to the more complex demands of modern architecture.